A pin to make life a bit easier! 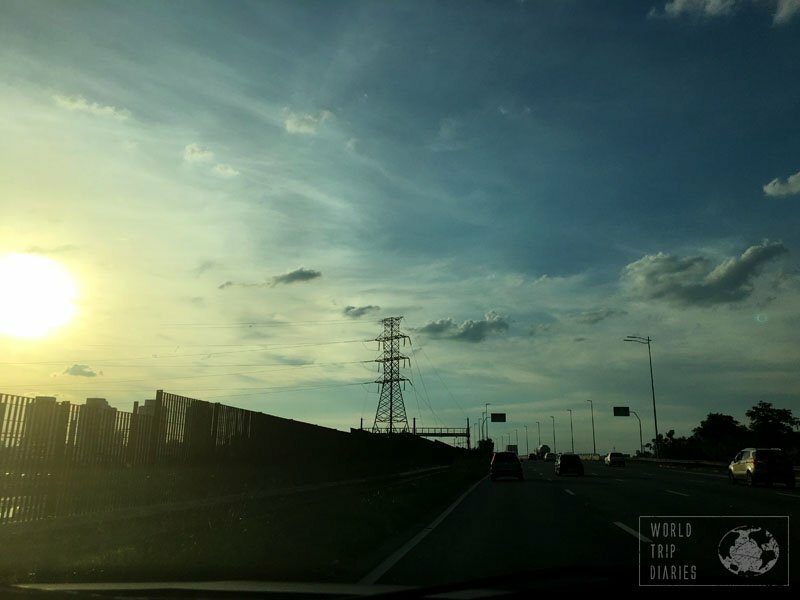 We were in Brazil from October 2016 to January 2017. 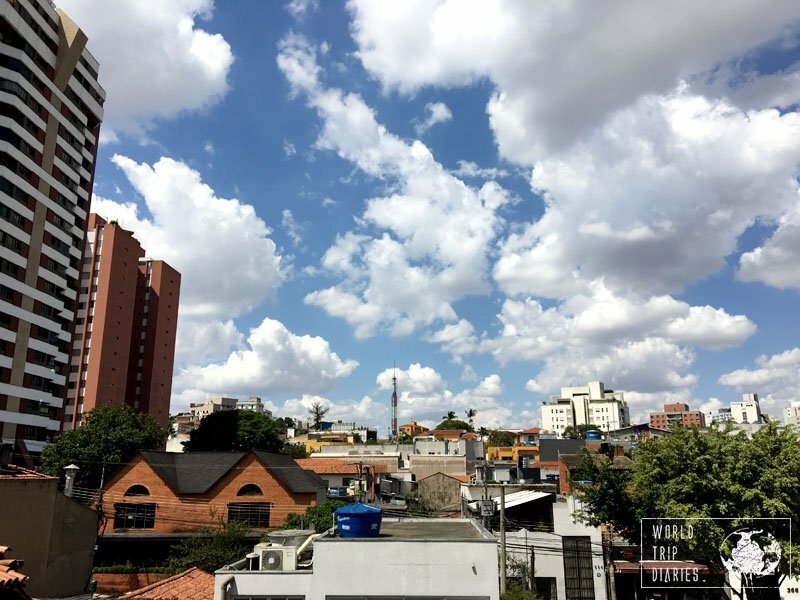 Most of the time was spent in Sao Paulo, except for the few days we spent in Salvador. Even though we had big plans, we ended up not doing much. On this post, I’ll talk about what we did. 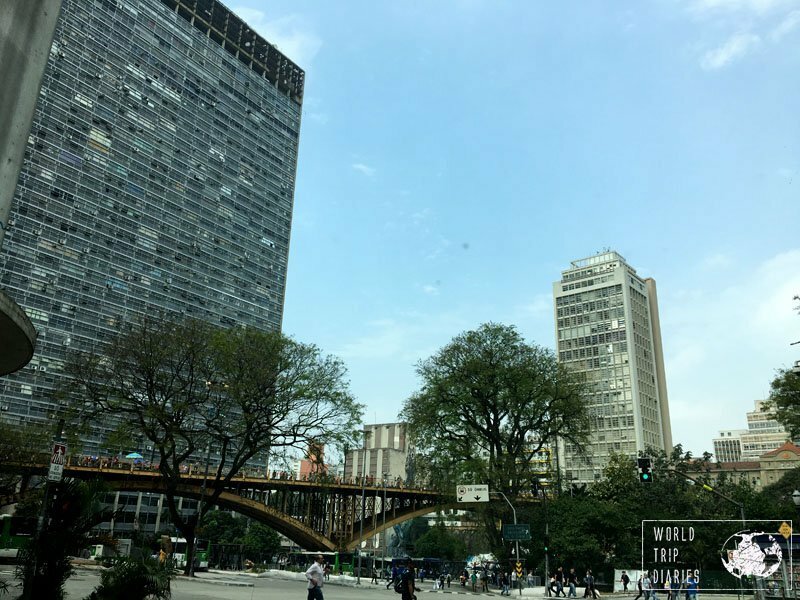 There’s already a post for the cool and free things to do with kids in São Paulo and one of the awesome restaurants we ate at. Oh, and there’s also the post about the super fun Escape60! Maybe they have what you’re looking for. *this post may contain affiliate links. If you buy something by clicking on one of them, you’ll not be charged any extra and we’ll receive a small percentage. Traffic, even though it’s lessened in the last years (at least we think it did), is still heavy, so expect to be stuck in it a few times. Buses have their own line, so traffic is better for them and subways and trains are pretty OK, even though there is a lot of people using them all day long. Bring on something for the kids and never buy water from the people selling it during traffic, as we bought a bottle once that was sealed BUT it had sand in it, so… yuck! * It was better when we went in 2016, but when we got there back again in 2017, it was horrible all over again. Safety is a big concern, I know. Even though we wandered quite a bit there (mostly by car), we felt threatened very few times. Most of them were probably just us being paranoid. I always carry my bag in front of me, and whenever I can, place a hand over it. Plus, we’re always aware of our surroundings. I was able to play Pokémon Go, take photos and videos almost everywhere with my phone and thecamera. I believe that if someone is thinking of mugging someone, they’ll go to the easier ones and I’m not that anymore. 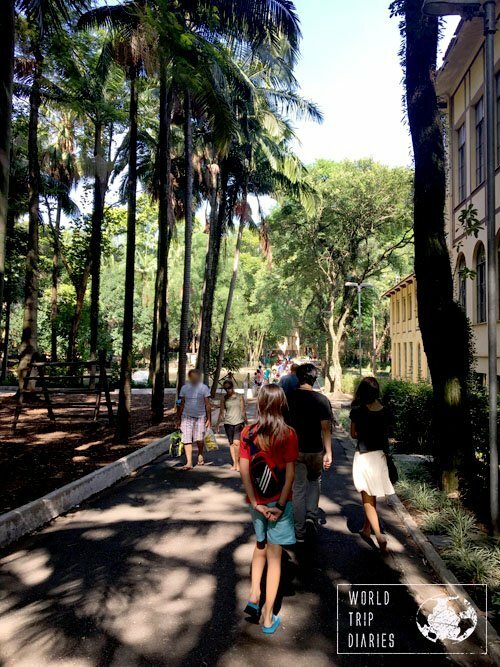 Walking in a large group also helps – we were almost always in, at least, 6. I know it’s not always possible, but just by keeping the family together we make it a bit more difficult for whoever. One thing everyone needs to be aware of is the weather. It’s crazy and unstable, so bring summer and winter clothes whenever your visit is. Always dress in layers. If the sun is out, it’s probably warm, but the minute it hides, it’ll be cold. Plus, a rainproof layer is always handy. 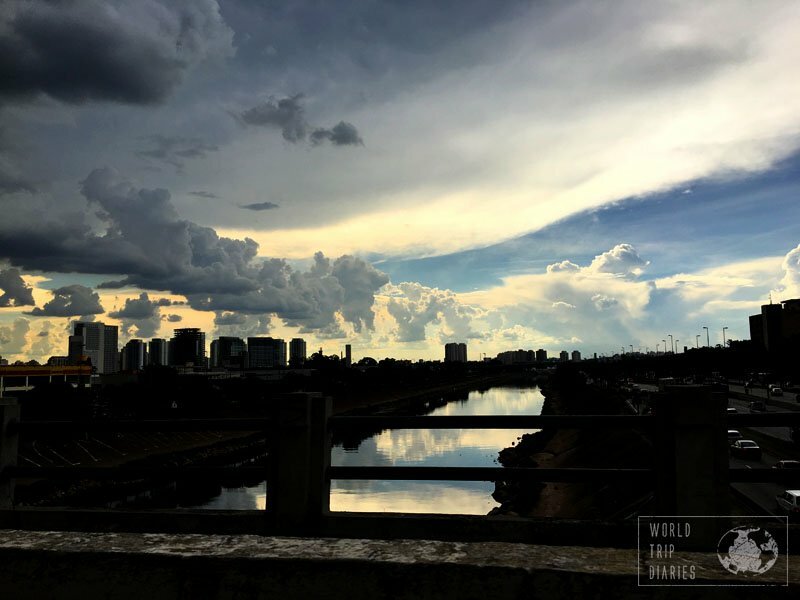 São Paulo receives a lot of rain. All. Year. Long. One of the things we did a lot was going to a shopping mall. They’re big, they have air conditioning, it’s reasonably safe, and they have food and movies. When we had to wait until rush hour was over, or when we needed to buy something, we headed to the closest one. All of them charge for the parking lot, which is super unfair (in my opinion) but it’s usually free if we buy something in a store or another. Make sure you find out where – and it’s usually a supermarket – and keep the receipt. We visited a lot of them. Some are fancier, some are simpler, but they’re pretty much the same. I’m not getting into details because I didn’t pay enough attention, sorry. While we were in Brazil, there was the exhibit about Alice in Wonderland and it was beautiful! 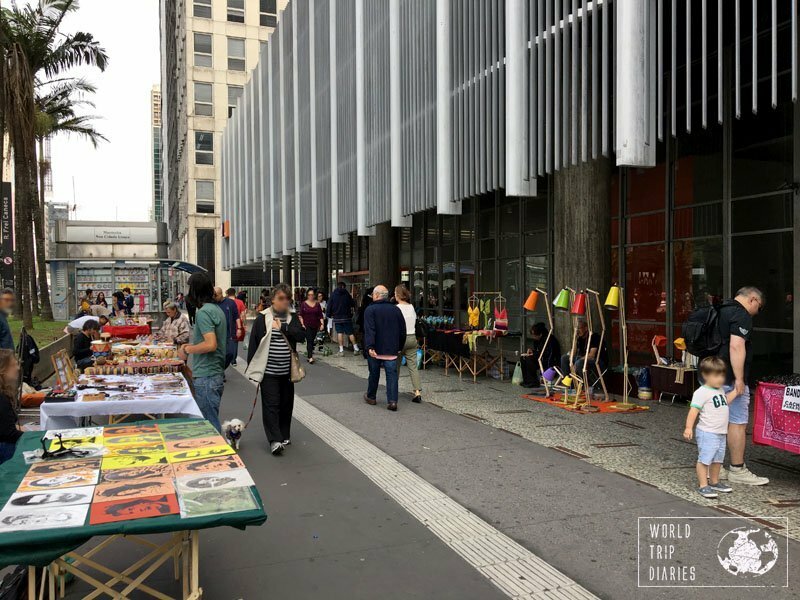 There are many exhibits all year round and all over the city, so check them out! 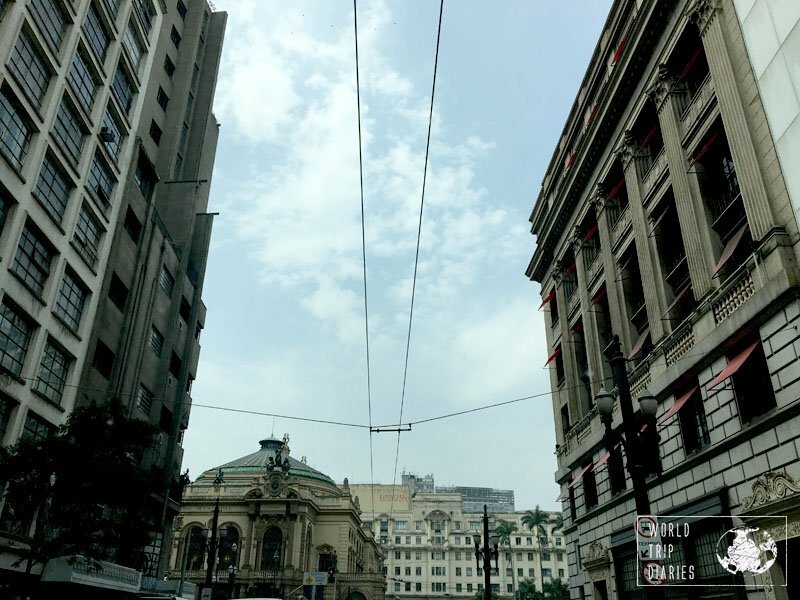 There are many movie theaters in São Paulo. Almost every mall has one, and there are loads outside of them too. Prices vary enormously, so check before going. We never buy online because we need to pay the commodity fee and I think it’s ridiculous. After checking the sessions online, we just show up around an hour before the session to buy the seats we want – and we almost always get it. I could tell you about the amazing graffiti mural on 23 de Maio, but the new mayor painted it all in gray, so it doesn’t exist anymore. On Cruzeiro do Sul Avenue, though, there are amazing graffiti on the support of the train rails – worth a visit while it’s still there. We decided to skip all the theme and amusement parks. They end up being really expensive and not worth it. Not worth it for us, as we wanted to see Brazil and not spend hours in line. Sunsets are incredible anywhere, aren’t they? If you wish to get a tattoo, Blood Melis and Shamil do a good job. Unfortunately, tattoos are not cheap in Brazil. A small and simple (and tiny) one would cost you around R$ 300. Did you already like our page on Facebook? Let’s not wait any longer! 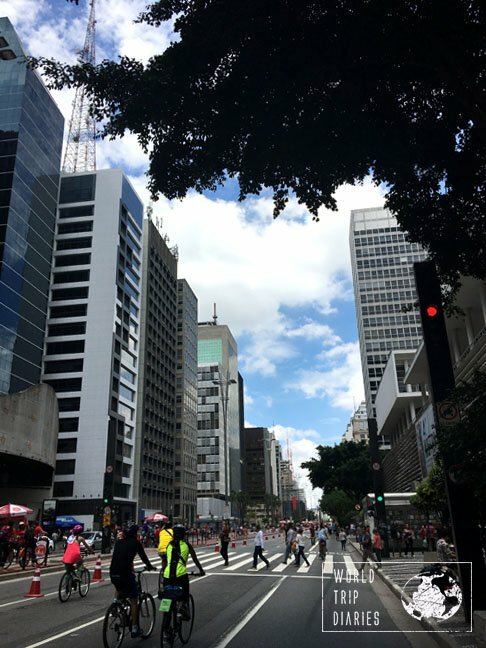 And, if you want to see a little of Sao Paulo, check our video below! To finish it, our table! 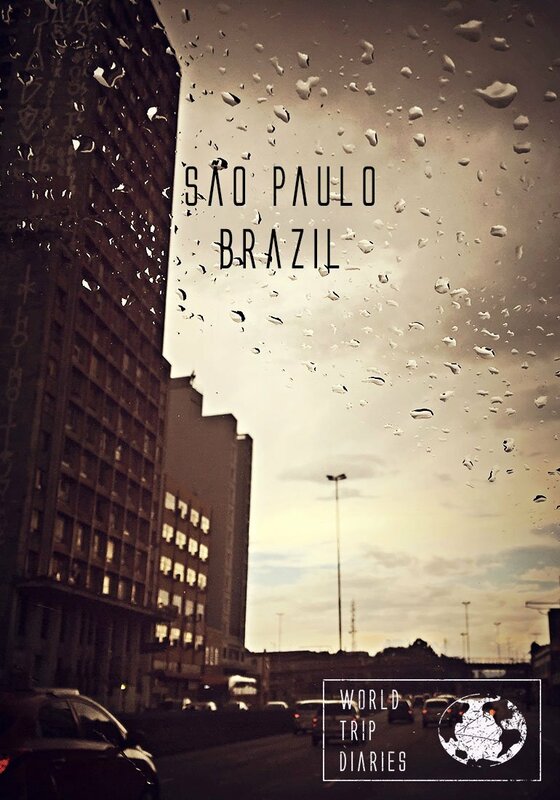 The best things in Brazil – by José Bye, Brazil! We’ll see you again!